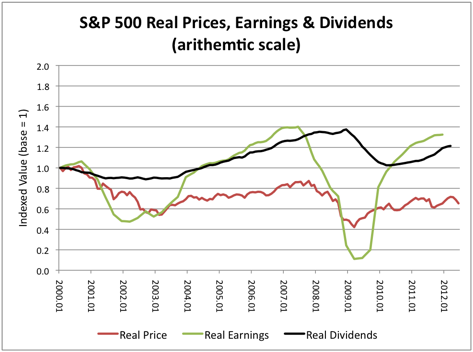 Dividends have been variable, but are the most consistent performer of the three dimensions, which has been critical in the past 10+ years. 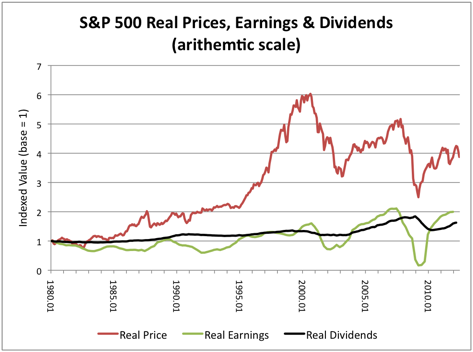 Also, the cumulative dividends have been quite critical to total return over longer periods. 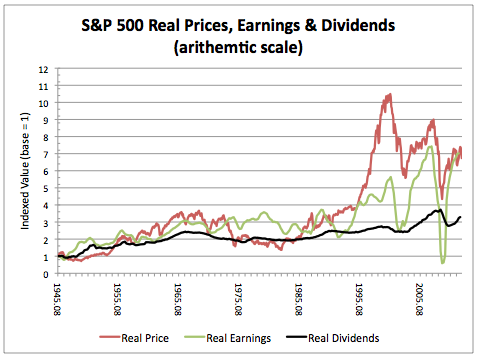 This entry was posted on Monday, June 4th, 2012 at 11:30 AM and is filed under Interesting Charts. You can follow any responses to this entry through the RSS 2.0 feed. Both comments and pings are currently closed.